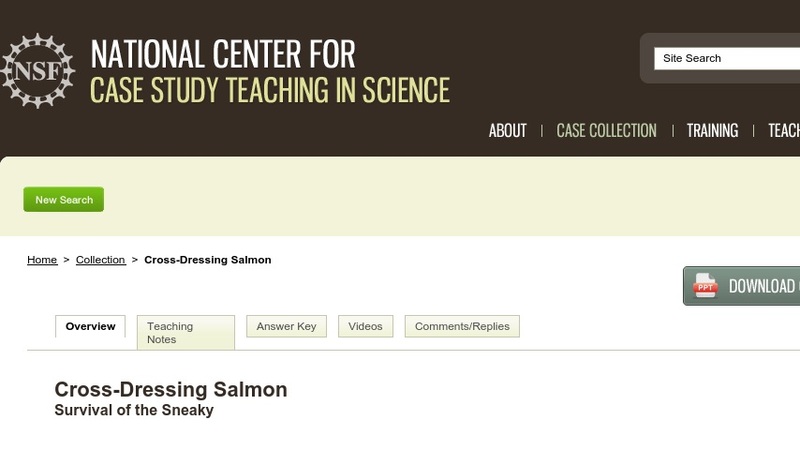 This "clicker case" about female mimicry in spawning salmon was developed for an introductory-level, non-majors biology course to help address one of the most common misconceptions that students have about natural selection, namely, that only the "strong" survive and reproduce. Female mimicry is an alternative male reproductive strategy. As observed in spawning salmon, some males assume certain female characteristics that enable them to remain close to reproducing females without being viewed as competition by more dominant males. Students learn about concepts of natural selection, including overproduction and differential reproductive success, as well as patterns of natural selection. The case is presented in class via a PowerPoint presentation (~3MB) that is punctuated by multiple-choice questions students answer using personal response systems ("clickers").